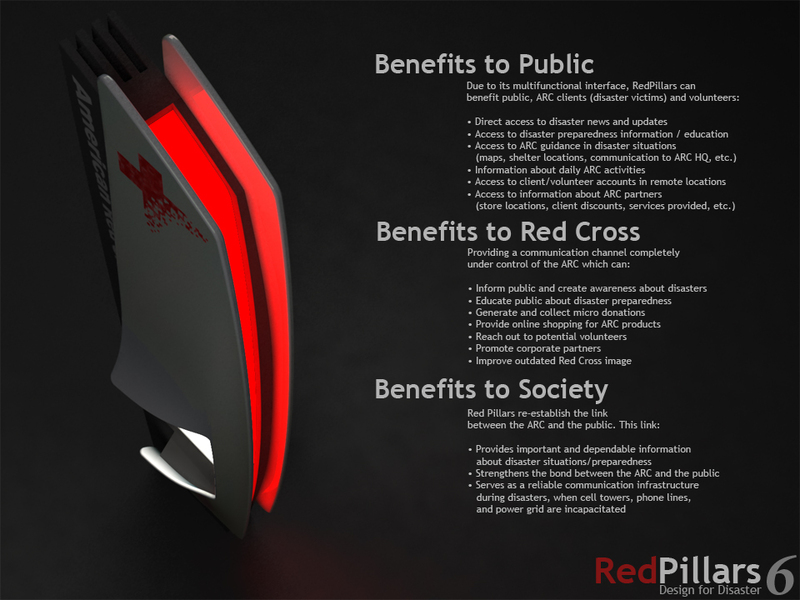 In a major disaster, millions need food and water. 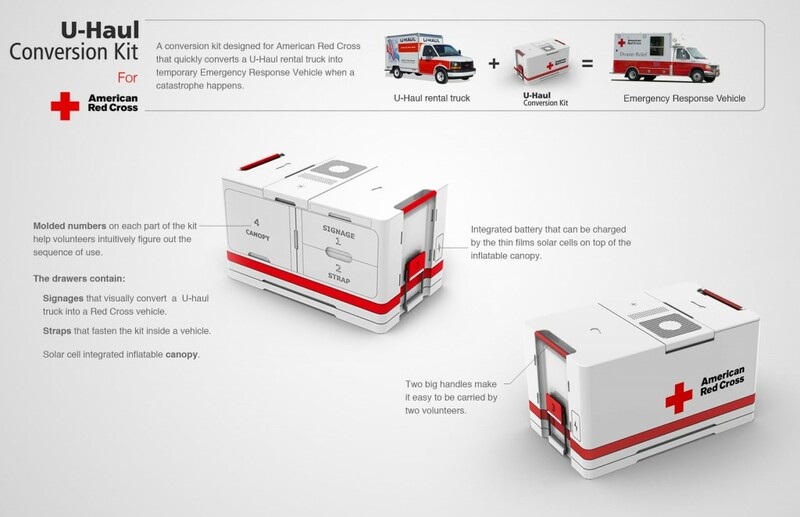 Thousands of response vehicles are needed in a short period of time to do this – many more than the American Red Cross, a major US disaster responder owns. 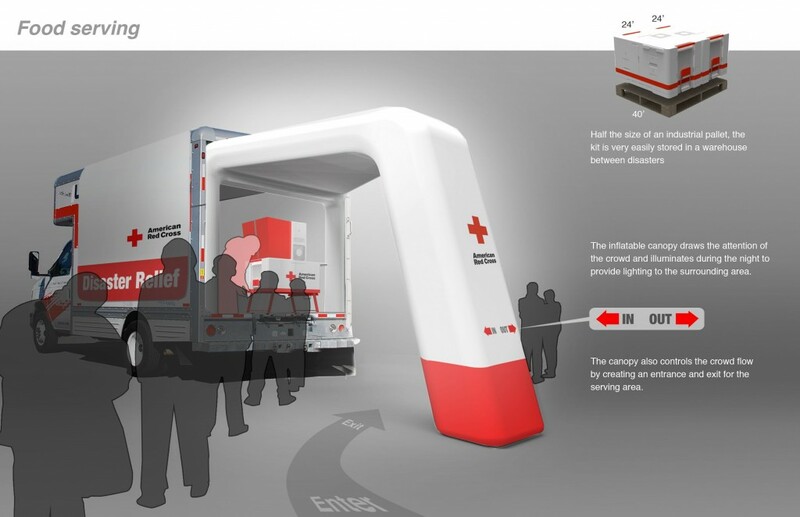 When disaster strikes it usually takes over a week for the ERVs to be driven to the location, but the need for food and water is immediate. What’s more, most of the year ERVs are parked, unused, in their home locations. This fleet of idle vehicles represents a huge investment (over $90K per vehicle) going to waste. 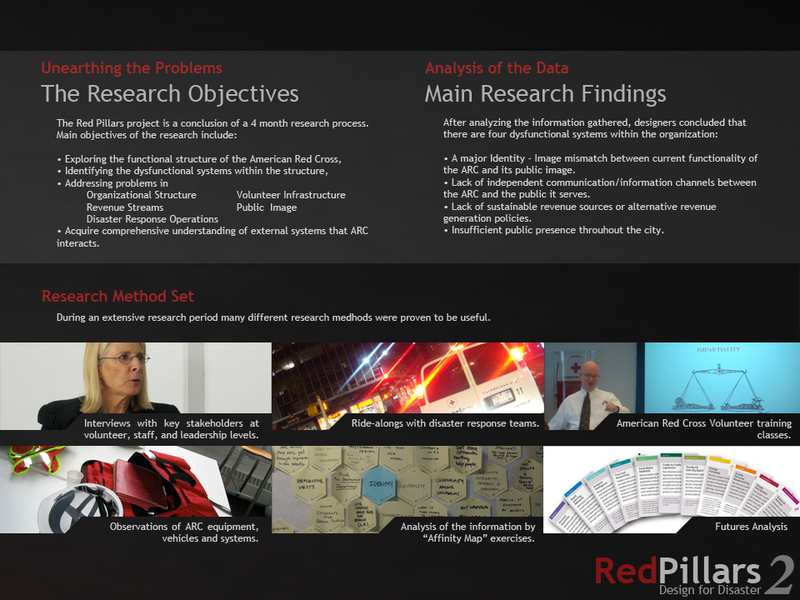 The challenge is to find an affordable solution that enables the Red Cross to respond to a large scale disaster in a short period of time. 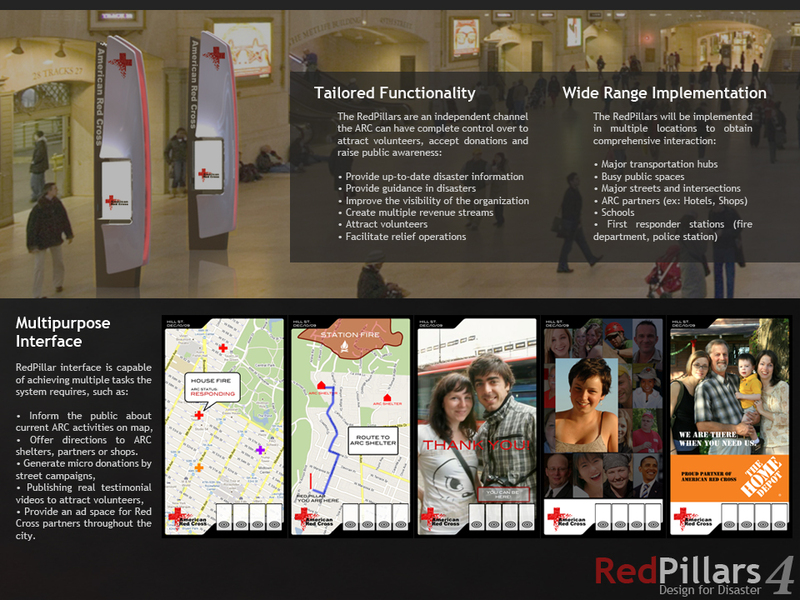 Red Pillars are “interactive digital information kiosks”, designed to increase public awareness about the American Red Cross, break its reliance on disaster-driven donations, and give the Red Cross control over its image and communication. 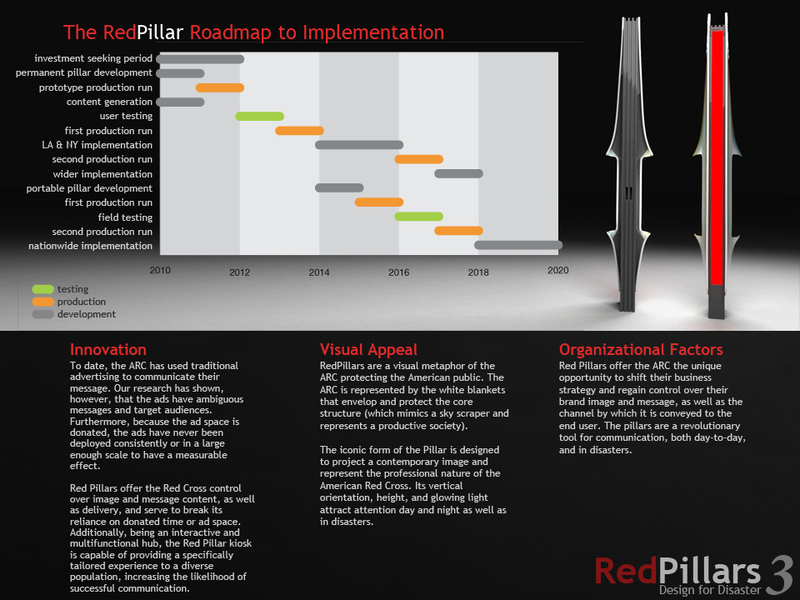 For this project designers have spent one term (14 weeks) on an intensive research phase and one term on strategic planning and design. 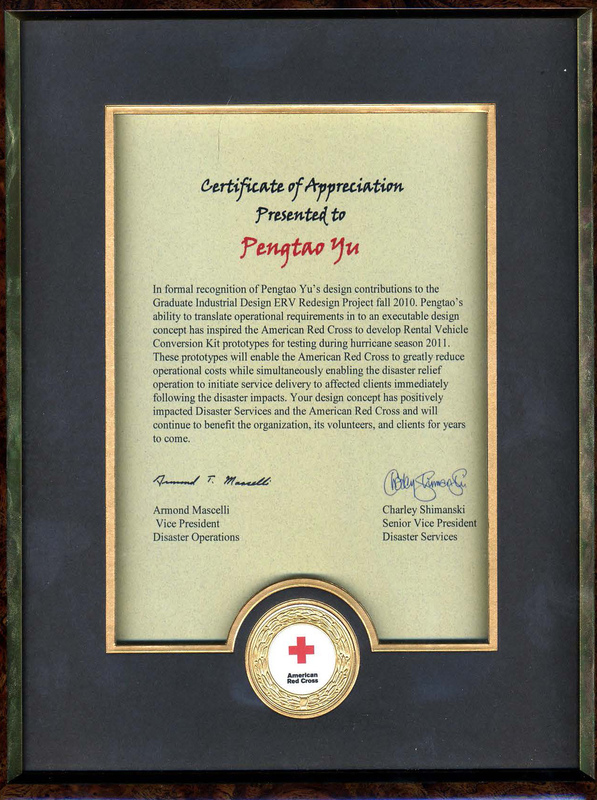 Designer Pengtao Yu collaborated with American Red Cross(ARC) to design the next generation of Emergency Response Vehicle(ERV). 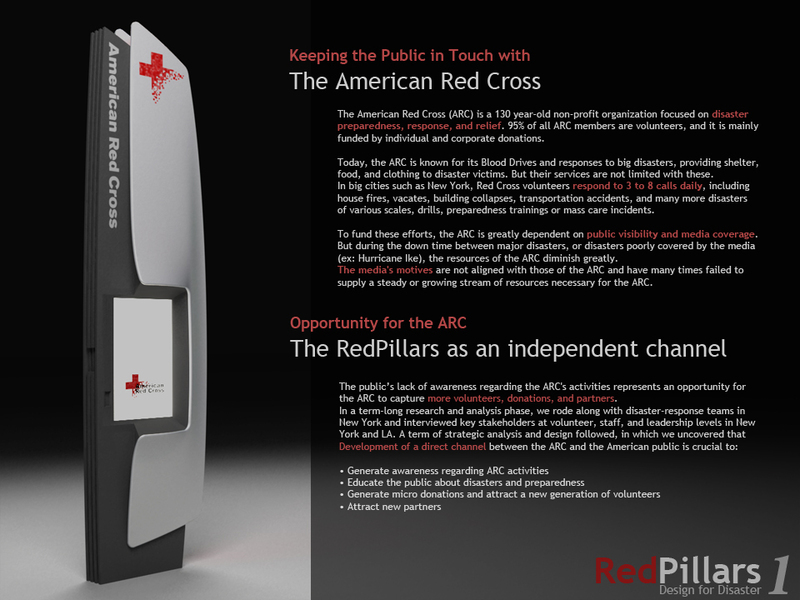 The solution dramatically increased ARC’s response ability, response speed, at the same time, reduced the cost. 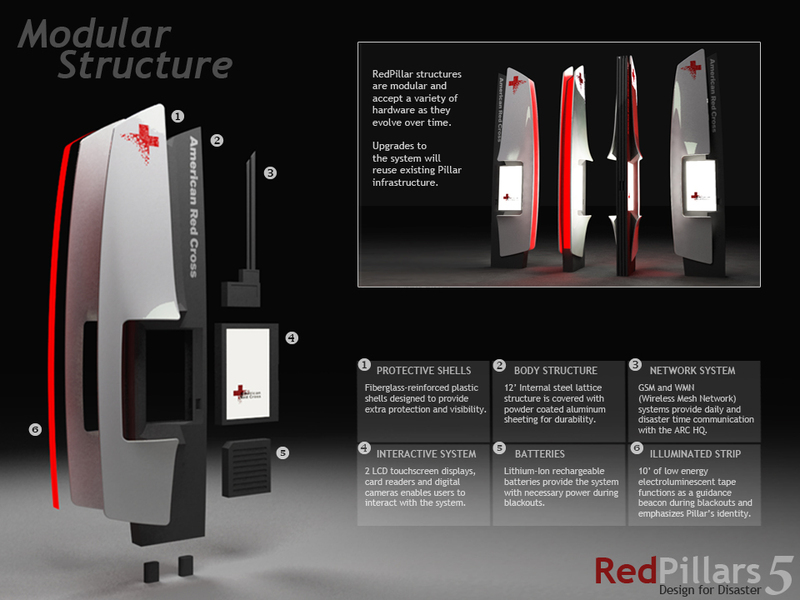 The design had been made into prototypes by ARC and tested in the hurricane season 2011. 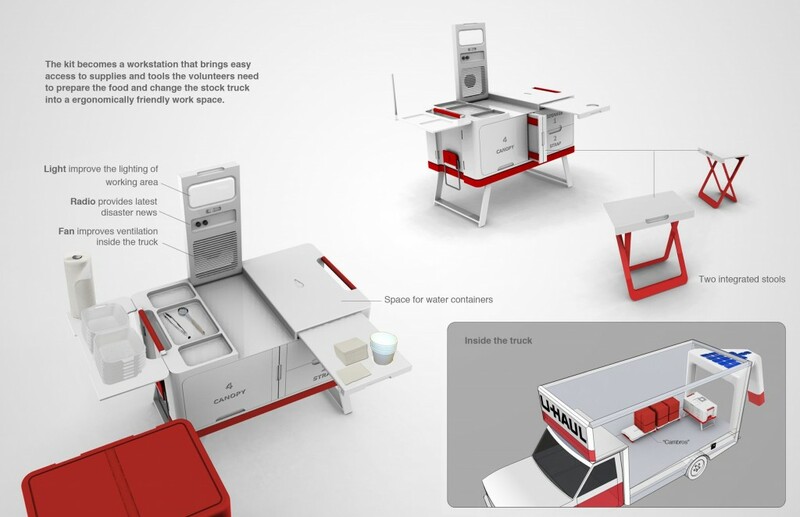 It is also the winner of Core 77 design award 2011 and Spark concept award 2011.